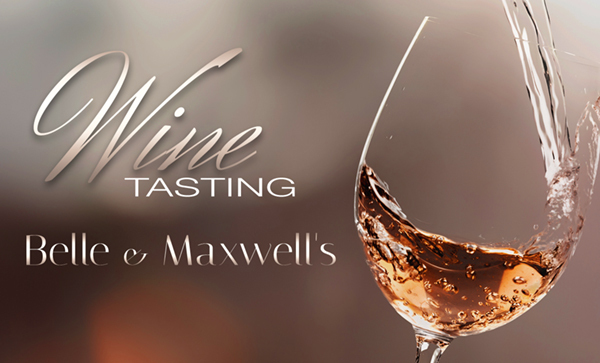 Mark your calendar, Belle & Maxwell's is hosting its first wine tasting on February 20th 5 pm to 6:30 pm. Guest will sample six different wines consisting of three reds and three whites, Louis Latour's Pinot Noir, Kenwood Merlot, Barossa Shiraz, Bottega Vinaia Pinot Grigio, Chateau Timberlay Bordeaux, and Grand Jardin Rose. This wine tasting is free, and they will be serving light complimentary Hors-d'oeuvres as well. Location: 3700 S Dixie Hwy, West Palm Beach. Please use the RSVP tab below to make a reservation. You will not be able to reserve a seat by phone. Brought to you by Palm Beach Cuisine Inc.